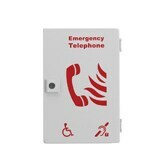 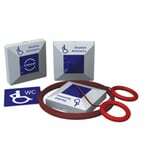 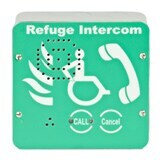 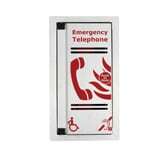 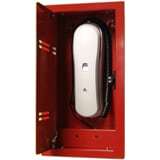 The Compact 9 Emergency Voice Communication System (EVCS) is designed to fully comply with BS 5839‑9 -2011 for use as a Fire Telephone System, Disabled Refuge Call System or as a combined system when both Fire Telephones and Disabled Refuge points are required. 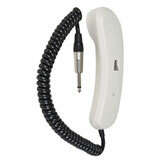 The system comprises of a master EVCS Compact 9 handset, and up to 9 outstations (type A or type B as appropriate). 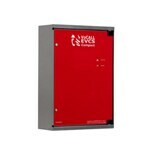 The EVCS Compact 9 can be expanded up to 19 lines using the 10 line slave exchange and is ideal medium sized buildings, leaving room for expansion. 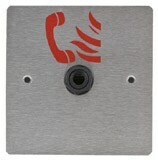 Compact 9 Line Master Exchange Unit. 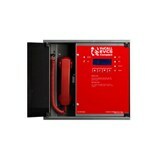 Using the 10 line Slave Exchange Unit this system can be easily expanded to 19 lines.